Winshuttle was founded by three friends who were determined to empower business users with data management solutions that help them get SAP data right. Our team of exceptional leaders work hard to deliver on this mission for customers and live and breathe our PACT values which make Winshuttle a fun and inspiring place to work. John’s career spans over 30 years in the B2B software industry, helping scale both start-ups and publicly-traded companies, as well as everything in between. 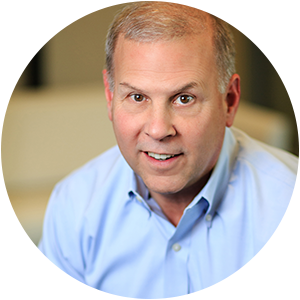 John has held senior leadership positions in several notable industry leading companies like SAP, Hyperion, Global 360 and most recently at Nuance Communications where he was VP and General Manager of Proactive Engagement Solutions. Since 2011, Jeff has helped develop and manage Winshuttle’s financial operations, ensuring that our strategic financial goals align with our fiscal business objectives. Jeff’s contributions to the company’s strategic business initiatives and extensive background in financial management have been integral in facilitating Winshuttle’s growth. Prior to Winshuttle, Jeff held senior executive positions at a number of high growth companies in the technology sector in the US and worldwide. In a professional career spanning two decades, Stacy has passionately advocated for innovation and leadership. She brings to her position an emphasis in organizational effectiveness, talent management, and strategic planning. Stacy is responsible for developing and guiding Winshuttle’s Global HR vision and articulating the organization’s strategy to help acquire, develop, reward, and retain the best talent. Prior to joining Winshuttle, Stacy held HR and Organizational Development positions for a variety of entrepreneurial, technology and venture capital companies. Vikas is responsible for overseeing all aspects of engineering at Winshuttle, from execution oversight and governance in planning, to overseeing the architecture, design and implementation of software development projects. He serves as the enterprise wide strategic leader for our software engineering. Vikas brings over 20 years of software engineering leadership to Winshuttle, including extensive experience in product development and consulting services. He most recently served as the Director of Smart Grid Solutions at Landis+Gyr, where he managed a team of over 300 engineers. Kristian is responsible for product management, enterprise solutions, and product marketing. He is instrumental in driving the strategic direction of the company and continuously elevating the value that Winshuttle’s software platform and methodology bring to customers. Prior to joining Winshuttle in 2010, Kristian was widely respected as one of the pioneering thought leaders in bridging the gap between SAP and Microsoft technologies. Since starting his career in Denmark, Kristian has gained experience with enterprise software solutions in a broad range of industries in Europe, Australia, and North America. He has held various roles across Engineering, Professional Services, Sales, and Marketing. Mary leads the global marketing team at Winshuttle including marketing communications, demand generation and field marketing. She is passionate about connecting customers with Winshuttle’s leading data management solutions, and creating memorable customer experiences. Her diverse background includes lead marketing roles in high tech companies and nonprofits like Fluke Networks and Providence Health. Brian is responsible for Winshuttle’s global services teams which include professional services, training and customer support teams located in the America’s, EMEA and AsiaPac. Prior to joining Winshuttle, Brian held several head senior leadership roles as VP of Operations at 4th Source, VP of Services (support, professional services and training) at Vertafore, and VP of Professional Services at Oracle. Brian brings vast experience and over two decades of leadership in growing services teams, evolving services delivery, improving customer satisfaction and expanding the profitability of Services teams. Mark joined Winshuttle in 2006, and as one of the earliest employees, he has been part of the company’s evolution, and is responsible for the successful growth and expansion of operations in EMEA. As the Vice President of EMEA, Mark leads a team across Europe and Asia Pac, which supports over 1,000 customers. Prior to joining Winshuttle, Mark managed the Automation suite of software at Complementary Solutions which included AutoTester and Winshuttle products. Over the years he has specialized in ERP, specifically SAP, and has extensive experience in software sales, testing, automation and implementation. As Vice President of Americas Sales, Jim is responsible for leading the direct and partner sales strategy for the Americas, developing a world class sales organization, and helping the world’s biggest companies make the shift from manual data operations to leveraging data as a strategic asset. Prior to joining Winshuttle in 2014, Jim led high growth and startup sales organizations in analytics, application research, eLearning, and CRM software markets. Joel is responsible for leading the information technology and cloud operations for Winshuttle, enabling and supporting our cloud product offerings as well as overseeing the overall IT strategy. He brings over 20 years of technology and SaaS operations experience, building agile, on-demand services that are reliable, scalable, and secure. Before joining Winshuttle, Joel was VP of Cloud Operations for Nuance Communications, leading the global teams that delivered and supported high quality SaaS/PaaS solutions that processed billions of voice transactions per year for a wide variety of Fortune 500 enterprise customers.